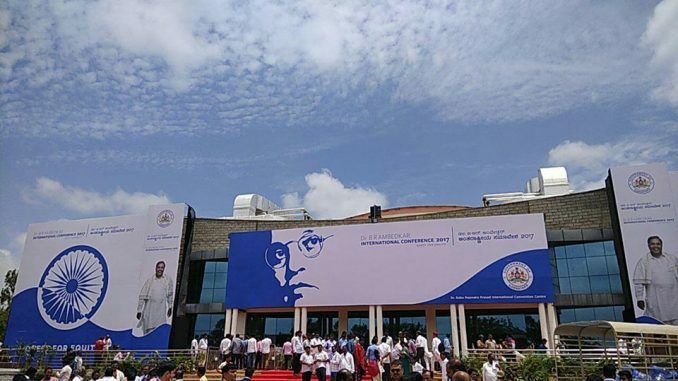 ‘Quest for equity – reclaiming social justice, revisiting Ambedker’ was a three day international conference organised by the Government of Karnataka to mark the 126th birth anniversary of B.R. Ambedkar at the University of Agricultural Sciences, Bengaluru between 21st – 23rd 23rd July. IAS officer P Manivannan was part of the team organising the conference; he shares his experience. 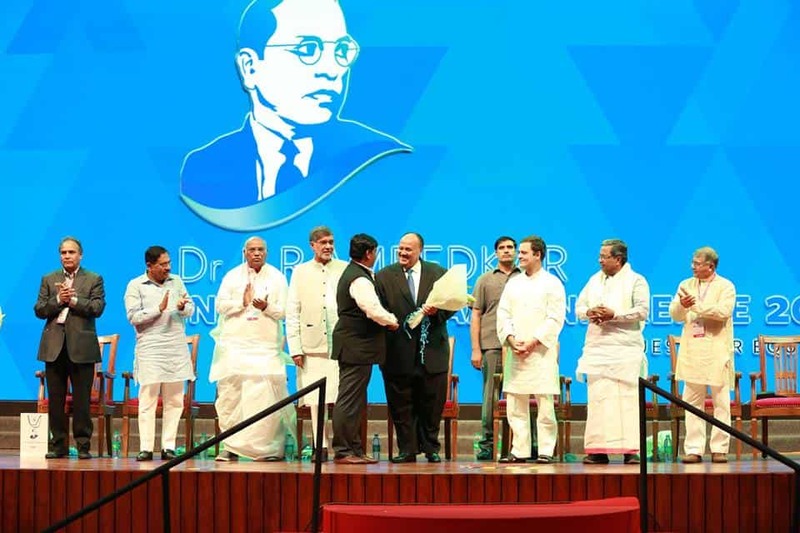 Many renowned speakers mentioned that they never attended any such a huge conference on Dr Ambedkar, in their life time. Indeed, just to dismantle the temporary structures, it took 10 days! Now that the last part of the work on the conference is getting over, it’s time to reflect how the entire thing happened. Instead of writing and keeping it in the file, we thought we will share with the citizens, to whom Dr Ambedkar and the State government belong. Also, the expenditure and accounts of the conference will be published in the 2nd part of this post. We would want everything to be transparent and professional. So, here is an account of how things happened! Last year, around the same time, I was called to attend a meeting of the Hon’ble Chief Minister, along with Dr H C Mahadevappa, PWD Minister and Anjaneya, Minister for SC & BCW. It was in this meeting that a decision was taken to conduct Dr. Ambedkar International Conference, and the responsibility was given to the Social Welfare Department (SWD). Frankly, as Secretary, SWD, I was little worried for two reasons. Firstly, the Department was almost doing a fire fighting job on a daily basis managing more than 2000 hostels, 1000s of Ambedkar Bhawans and more than 100 schemes for the welfare of the SC/STs. Secondly, the Department has never conducted any international conference so far and the Department has not even updated the list of top scholars on the subject. Hence, I submitted to the Government that the conference may possibly be collaborated with any University or College, to organise this conference on behalf of the Government, and the Department would oversee it. This idea was accepted, and I suggested the names of National Law School, Azim Premji University and the Bangalore Central University. However, it was finally decided to constitute an Organizing Committee of all the VCs and other academicians, who will organise this conference. Prof. Japhet of Bangalore Central University was appointed as Convener of the Organizing Committee (OC). An Empowered Committee (EC) was formed with the Hon’ble Chief Minister as Chairman, and having the following as Members, to guide the Organising committee. 1) Dr. H.C. Mahadevappa, Hon’ble PWD Minister and convener. 2) H. Anjaneya, Hon’ble Minister for SC & BCW. 4) T.B. Jayachandra, Hon’ble Minister for Law, Human Rights and Minor Irrigation. 5) R. Roshan Baig, Hon’ble Minister for Infrastructure Dev. Information and Haj. 6) Krishna Byregowda, Hon’ble Minister for Agriculture. The OC started working. It constituted a Sub-Committee consisting of 40 members. This committee selected speakers for the conference. Though this Conference was to coincide with the 125th Birthday Celebrations of Dr. Ambedkar, this had to be postponed to July to ensure better participation. In the review meeting of the EC, chaired by the Chairman, it was noted that names of the speakers has been finalised, but other arrangements are yet to begin. 1) Anjaneya, Minister for SC&BCW – Cultural Committee. Thus, the arrangements for the conference actually kick-started only during April-May 17. The EC also decided to entrust the work of the conference to Marketing & Consulting Agency (MCA), as an agency under the Government’s Commerce & Industries Department. It was realised that the work has to happen on a war footing, as they were hardly left with two months time, and the Government also appointed following persons, to co-ordinate and streamline the functioning. The emergency meeting was due to a surprise we got from the Police intelligence, that around 9000 persons may attend the conference, whereas we had planned to the capacity of the auditorium and adjoin halls; 3000. So, we had to take care of additional 6000 persons. In that meeting, directions were given for creating additional facilities to cater to 9000 persons and to install large size LCD TVs, and provide additional toilets, drinking water, additional parking lot etc. The additional facilities were created with coordination from different agencies. The team worked round the clock without sleep. The Police Intelligence report came true with around 9000, 8000 and 8000 people attending the conference on 1st, 2nd and 3rd day respectively. However, a section of the visitors were visibly unhappy that they had to watch the proceedings in LCD TVs, but this was sorted out by explaining to them that the main hall could hold only 2000 persons. The event was a total success except for minor glitches here and there. The lessons learnt in conducting this conference will be useful for Dr. Ambedkar conferences in future. The expenditure on this conference is done in a transparent manner and will be available for all to see. It’s our duty to thank the entire team! We express thanks to all those who worked day and night to make this conference a great success. Special thanks to Vikash Kumar Vikash, IPS, Commissioner, SWD and his team of officers, Srinivasulu, IFS, MD, Dr. ADC and his team of officers, Mulla and his team, Dr. Nataraj and his team, Dr Srinivas and his team, Dr. Soundarajan and his team, Sri Digge Shivaji and his team, Sri Nischith and his team. 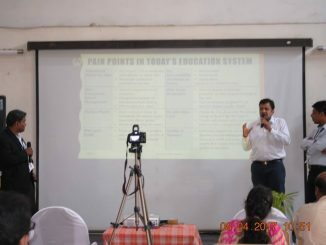 also thanks to Dr. H. Shivanna, VC, GKVK, and Dr. A.B. Patil, Registrar, GKVK for providing their premises for the conference, Vishu Kumar, IAS, Director, Information and Publicity. We also sought the services of Manoj Kumar, IFS, 1997 batch, Project Director, Victor Nishchith, Registrar, Kidwai Institute of Oncology, Anbu kumar, IAS, Commissioner, Backward Class Welfare, Jayanthi N, Chief of Customer Relations from BESCOM. Special thanks to Samudyata Kadur Shivaram, who headed the Control room team that worked round the clock, ensuring wonderful coordination! Our heartfelt thanks to the police team who were on duty during conference, numbering around 2000, headed by Hemant Nimbalkar, IPS, Addnl. Commissioner, Bengaluru East, along with Harsha, IPS, DCP, NE, Soumendu Mukherjee, IPS, IGP, Emergency & Fire Services, Dr. Shalini Rajaneesh, IAS, Principal Secretary, Health & Family Welfare. Thanks also to K.P. Shivakumar, SE, KSHIP and Sri Pavithra, SE, KREIS, without whose assistance and help, the conference would not have become a success. 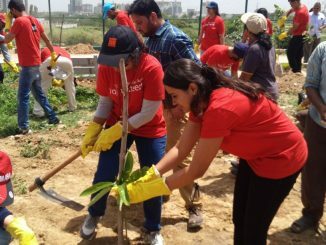 We thank Oum Pradutt, Navil, Satish, Saji, Deepika, Anita, Kora, Swetha and others of Phase 1 team and ‘Hasiru Dala’ for their tireless efforts in making this event a great success. Above all, we are grateful to the Chief Minister, GoK for his direction, guidance, and support, and he was a source of inspiration to the entire team. My special thanks to Dr. H.C. Mahadevappa, Minister for PWD, who was the spirit behind the team, and who took meetings even at 10 pm in the night! Our next thanks go to H. Anjeneya, Minister for SW & BWC for his valuable guidance in conducting the conference. Our special thanks again to, Krishna Byregowda, minister for Agriculture, whose constituency GKVK campus falls, and Priyank Kharge, Hon’ble minister for IT& BT, who worked shoulder to shoulder with us. I also thank Dr. E. Venkataiah, IIAS (retd) Advisor, who made tremendous contribution in coordinating with various Dalit Organisations in making this conference a success. I thank Dr. Sudhakar, MLA and Dr. R. Raju from Delhi, whose advice on the conference is well-appreciated. We also would like to thank, the BMRCL, headed by Pradeep Kharola, BMTC, headed by Anjum Parvez, and supported by Biswajit Mishra, and BESCOM, headed by Rajendra Cholan, for ensuring the evening time of the speakers were utilised over presentation by them over dinner. I am also duty-bound to thank all the speakers, delegates and participants for their contribution in making this event a grand success. 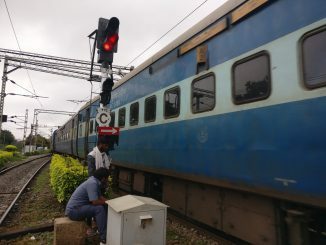 Thanks are due to officers of the secretary office, mainly Ananth kumar, and his team including the drivers and assistants who worked late in the night. Last, but not the least, thanks are due to media, electronic and print media who gave coverage of the event widely. P Manivannan, Chief Project Officer at Karnataka State Highways Improvement Project, was also Secretary, Social Welfare Department, Government of Karnataka till recently. The article here has been republished from his Facebook post with minimal edits, with his permission. A journey that would otherwise take 90 minutes is shortened into 20 minutes, when one takes a train. The city has good number of railway tracks, which need modification and optimum utilisation. Thank you! I always feel that more information in the files of the govt should be shared with the public! It creates more trust between the govt and the people.